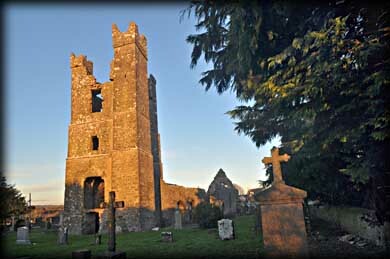 Traditionally it is believed St Patrick founded a bishopric in Duleek c.450 AD and St Cianán became the first Bishop in 489 AD. 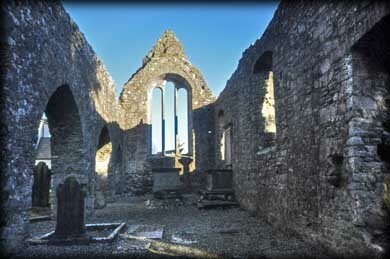 The town of Duleek takes its name from the Irish Daimh liag, meaning house of stones. 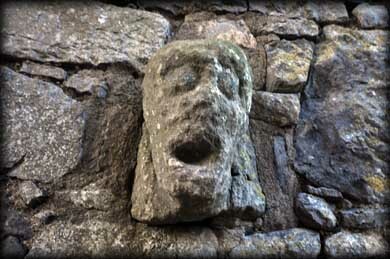 Nearby is the early church of St Cianán, claimed to be the first stone church in Ireland, but there are certainly early stone churches in Ireland than his particular ruin. A Pre-Norman Church was built on the site of St Mary's Abbey. This monastery was raided by Vikings in 830 and again in 1149. The body of Brian Boru lay in state here in 1014 on it's way to Armagh after the Battle of Clontarf. In 1180 Hugh de Lacy, the Anglo-Norman Lord granted the church and lands to the Augustinians. It was at this time the monastery was reconstituted as St Mary's Abbey. What remains of the Abbey today is the 13th century southern arcade with a 14th century southern aisle. In the east gable of the aisle is a 16th century window. To the west is a 15th century bell-tower. Inside the aisle are a 15th century tomb and a 17th century box-tomb. 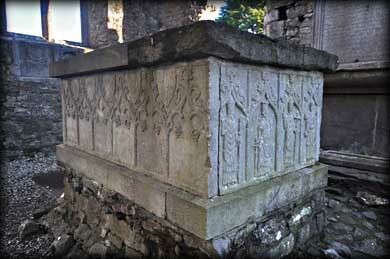 Located between the arcades are the head and base of a 10th century high cross and the effigial tomb slab of James Cusack, Bishop of Meath 1679-1688, pictured above. 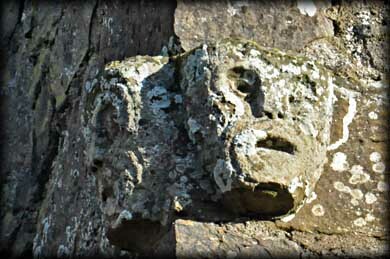 To the north of the abbey is a small but complete High Cross. In the north wall of the medieval belfry is the scar or shadow of a round tower. 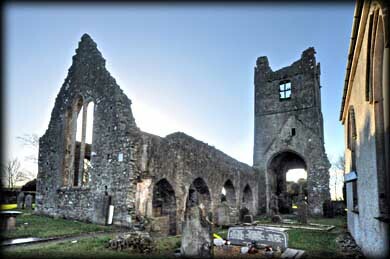 Situated: From Drogheda take the R152 south after approx 7 kilometres take a left at the fork in the road, sign posted Duleek, take a right turn at the small green in the centre of the town, the abbey is behind the Spire restaurant. Discovery Map 43. O 0452 6842. Last visit Jan 2014.